It seems that sexist gender roles continue to dictate that the kitchen and home are the workplace of the woman, and the outside world – and its kitchens – the workplace of men. 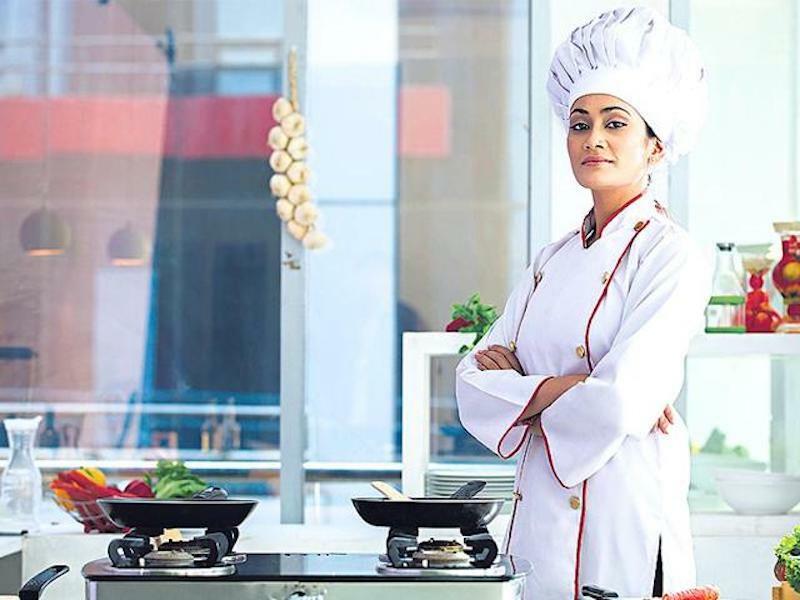 The few women who have made it as chefs in the kitchens of high-end Indian restaurants and cafés share stories of girls at hospitality school not being encouraged to take up intensive training to be chefs, and the lack of training resulting in a work environment designed for and dominated by men. One of them estimates that 80-90% of chefs in India are men. Some chefs have also shared their experiences of how reproductive choices are pitted against female workers across the board. When the labour of caregiving is expected to be solely the role of the mother, and workplace policies and work culture do not take into account these life changes and pressures, women find it hard to juggle impossibly skewed demands made on them between childrearing, where the primacy of their caregiving role is taken for granted and is unpaid, and the workplace, where their male colleagues can invest their energies that do not need to be channeled into caregiving responsibilities. Also taken for granted, some chefs find, is the ‘testosterone-charged’ work environment at these professional kitchens. Aggressive masculine behaviour is condoned and rewarded. A certain kind of versatility that gives top priority to one’s career growth also remains a privilege only male professionals can afford. In the larger hospitality industry as well, social pressures on women still do not allow them to easily relocate with the family in tow, or to safely and conveniently work odd shifts. So, it turns out that not unlike in all formal, paid labour industries, it is not mere talent or enterprise that gets people to the top. Many deep-seated social factors greatly influence whose aspirations the system celebrates, and whose it diminishes.